The creation of this andrographis food supplement was guided by Ayurveda, the ancient art of living wisely. 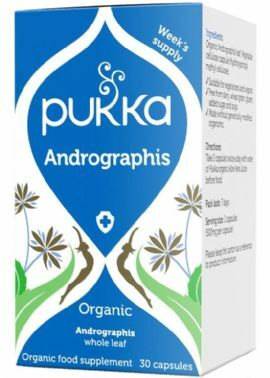 Specially blended by Pukka's herbalist and practitioner, this herbal blend draws on centuries of use. Take 2 capsules twice a day with water or Pukka organic Aloe Vera Juice before food 20 minutes before food or as directed by your healthcare professional. High quality organic astragalus tincture botanical food supplement.